I haven’t updated my monthly blogging income reports since August after deciding to cut back to quarterly reports. The reports are important but have taken a back seat to some big projects on the blogs. Tracking my monthly blogging income is important for me to keep me focused on reaching my goals. The reports can also be important for you though as guidance, to see what works in making money blogging and maybe as a little motivation to reach your own goals. Besides an update on my fourth quarter blogging income, this post will also serve as my 2016 wrap-up and 2017 outlook for the websites. We’ll look at what worked last year and what didn’t as well as make plans for this year. I set a monthly blogging income goal last year of hitting $4,000 before the end of 2016. My best month in 2015 was just under $2,000 but I thought I could double it by aggressively building the blogs. I ended up blowing through my goal in October and passed $5,000 in November. December’s income was a bit lower but I still managed to book $37,418 for my second full year of blogging. For reference, last year’s blogging income was nearly four-times the amount I made in 2015. Personal loan sites continued to be my best source of affiliate income but investing affiliates like Motif Investing and RealtyShares have become big sources as well. This is important as you start to plan your own blogging revenue. You can’t rely on just one category of affiliates or especially one single company. Affiliates change constantly and you need to be bringing in sales across as many as possible. I’ve also been really happy with the success of the self-published books, averaging just over $1,400 a month on seven books. I was just talking to a blogger group last night and amazed that more people aren’t taking advantage of self-publishing. 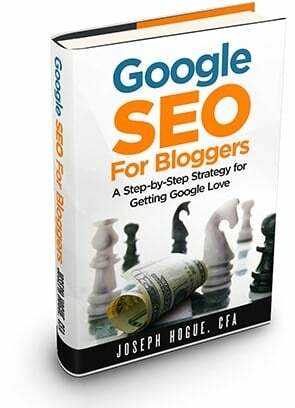 If you have a blog, you need to be repurposing your content into books. It’s one of the best forms of passive income you’ll find. 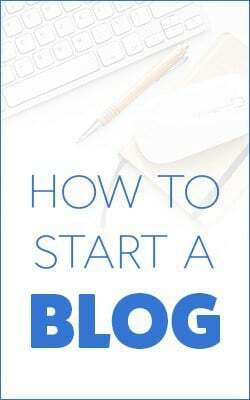 Want the complete step-by-step on how to make money blogging? 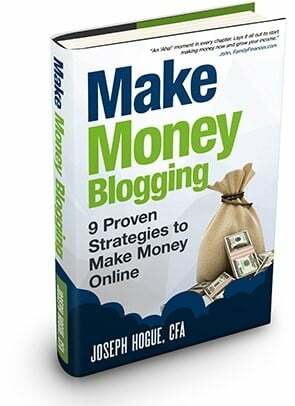 I put all nine methods I’ve used to make money blogging into one resource guide from the easiest ways to make money immediately to the ones that make thousands a month. Don’t be one of the millions of bloggers that quit frustrated every year. Just $3.99 on Kindle could change your life! Blogging has completely changed my life. I’m not being melodramatic, it’s really true and I’m so glad I finally got started with my own sites. I used to constantly plan for retirement and wonder how things would be different if I were rich. I can truly say that since I’ve started making money blogging, I love where I’m at and wouldn’t change it. I can’t see myself doing anything else. As well as I did last year, there were a few goals I missed. I didn’t reach my site traffic goal of 100,000 visitors per month. The six sites are drawing just under 60,000 visitors a month which is good considering three are less than a year old and the other three are only two years old. I think I was just a little naïve with this goal but can reach it in 2017. While I did get one new book published this year I missed my goal of creating at least one video course. I know a few other bloggers that love the video format as a way to reach people and I want to give it a try. It’s probably my top goal for this year. Besides releasing at least one video course and reaching 100,000 visitors per month, what other goals am I setting for 2017? Guest posting is very important for a blog, not only to draw more visitors but for SEO. I want to do an average of two guest posts a month for each blog (i.e. writing 12 guest posts each month). That’s going to be a tough goal to meet but I really need to interact more with the blogging community. 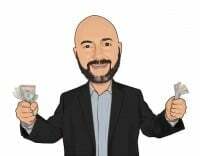 If you’ve got a blog relating to personal finance, small business, investing, making money or debt and want a guest post, just let me know. I want to extend my Personal Finance Scholarship to my investing blog this year. I loved getting all the essays last year from college-bound students and shared some great stories about how parents were teaching their kids personal finance. It felt great to be able to help someone achieve their dreams of a higher education and I’ll be adding a scholarship page to My Stock Market Basics this year. I’ve got three books publishing within the next month so that will satisfy my self-publishing goals for the year. It will bring the count up to 10 books so I’ll probably focus more time on video courses for the rest of the year. As for monthly blogging income, I am still working about 20 hours a week for a client so that’s constraining the time I can spend on the blogs and how much I can make. After the huge jump in income last year, I am setting a conservative goal of reaching $6,500 a month by the end of 2017. It’s not that I won’t be working hard to beat that goal but I’ve got a few projects coming up that might take even more time from the blogs. Many bloggers provide updates on their monthly blogging income. Every once in a while, a reader will comment that bloggers are just showing off about how much they make. It does feel good to meet those income goals but these income reports aren’t entirely for my benefit. 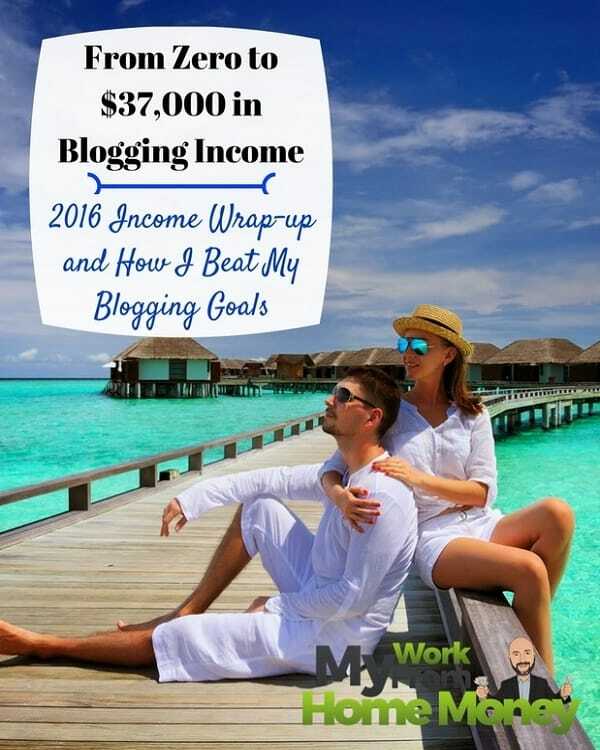 You can use these income reports to see how bloggers make money and to help reach your own goals. Before starting my own blogs, I never would have believed how easy it was (or how much money you can make) through some of the sources. I had always thought about writing a book but never dared to get started. Part of being successful in any kind of business is understanding where you are and planning how you are going to reach your goals. I track my expenses as well as blogging revenue from each individual source. This helps me see changes in income and where I want to focus in the future. Finally, I hope you can take some motivation from these reports. 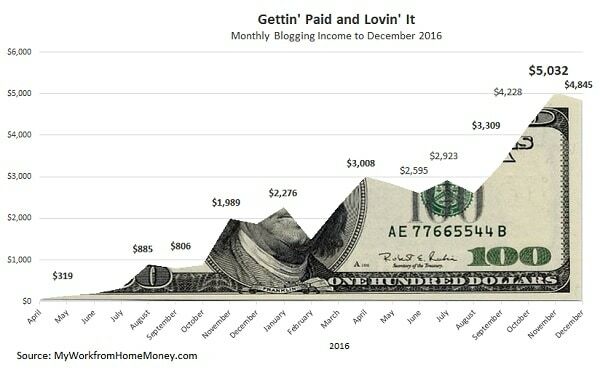 Less than 15% of bloggers make over $2,500 a month and the majority quit within six months of starting their blog. It’s a tough business to start but you absolutely can be successful. Through the income reports and the entire blog, I try to share everything I’ve done to make money and how anyone can do it. I wish I had started blogging sooner. It always amazes me how fast the world of blogging moves and how quickly someone can be successful. I’ve gone from making almost nothing to over $5,000 a month in less than two years. Where else can you get that kind of a raise? Best yet, I own my own websites so will always make money from them. I don’t have to worry about getting laid off or somebody selling the company. It’s an amazing journey and I hope you’ll take it with me.